We really do live in a golden age of hot hatches, don’t we? If the VW Golf Clubsport, Honda Civic Type-R and Ford Focus RS (among many others) weren’t enough, Seat are throwing their latest, fastest hat into the ring by unveiling the new Leon Cupra 300. While the Spanish marque is keeping most of the vital statistics under wraps until closer to launch in March 2017, we do know that this is the most powerful production car ever to roll off the line in Barcelona. Using a turbocharged 2.0-litre TSI engine, the new Seat Leon Cupra 300 (as the name suggests) develops a potent 300 horses, a 10hp improvement over the outgoing model. Dynamic chassis control and an electronic locking differential ensure that the Leon Cupra 300 will be able to transfer all its power to the tarmac, while fans of three pedals can rejoice: the hottest Seat ever will be offered with a manual gearbox as standard. The same can’t be said of the ST (read “sport tourer”) version, however. Clothed in the Leon’s estate body, the Cupra 300 ST will only come with the firm’s (admittedly brilliant) semi-automatic DSG gearbox. Utilising Seat’s ‘4Drive’ four-wheel drive system, the Leon Cupra 300 ST is effectively a Volkswagen Golf R with a little less Teutonic efficiency and bit more Latin flair. The three and five-door hatchback versions will undoubtedly drive with a bit more precision but, we have to admit, the sharply styled ST has certainly caught our eye with its Q-car potential. 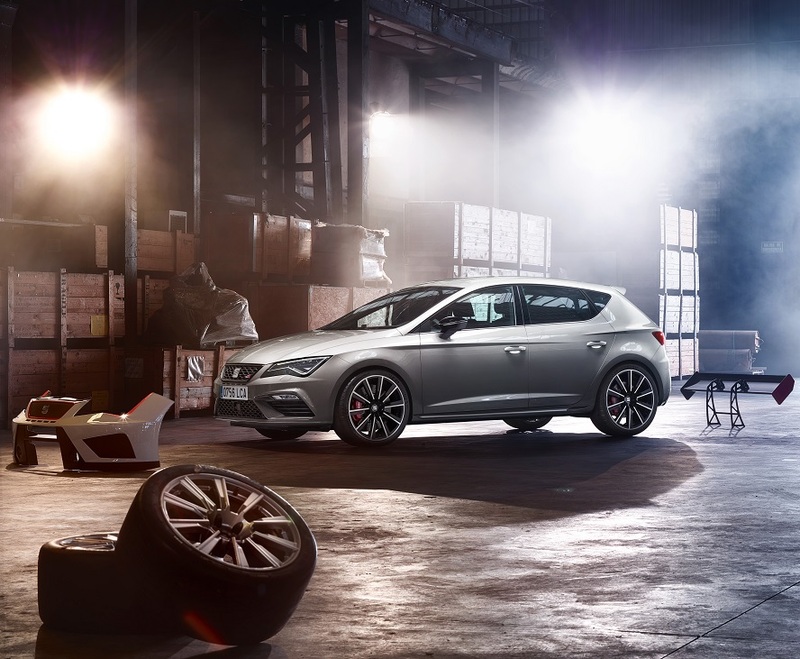 While firmly focused on our satisfying our inner hooligan, the Seat Leon Cupra 300 will also come with a glut of driver assistance tech too, including traffic jam assist, lane assist, adaptive cruise control and pedestrian protection. A new infotainment system – complete with eight-inch screen – will help while away the hours when slogging through traffic to your favourite backroads, while integrated wireless charging ensures that your smartphone’s battery will have enough juice left for you to share your Spanish adventures with your adoring Instagram followers. We’ll bring you full pricing and specs for the new Seat Leon Cupra 300 closer to launch. In the meantime, we’re already counting down the days until we can get our hands on this new Spanish superstar.